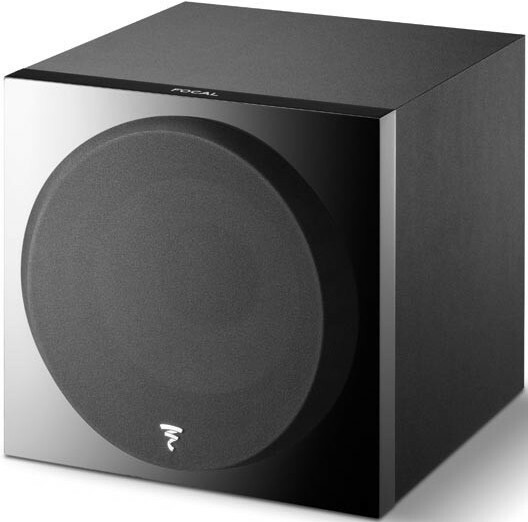 Focal 1000 F subwoofer is designed for Home Cinema use in the purest Focal tradition with a 16" diameter Flax membrane bass speaker cone. The stiffness and lightness of this environmentally-friendly textile produces an extremely well defined, distortion-free sound. The 'Dual Magnet' driver provides phenomenal power while ensuring excellent linearity. Sub 1000 F has an integrated 1KW BASH amplifier unleashing the full potential of the 30cm woofer while the sealed construction offers an extended bass response, compact size and an absence of interference that attains a pure, harmonious sound. It is perfect for faithfully reproducing film soundtracks with ease and best complements Aria 900 speakers. The speaker cone in this subwoofer uses Flax Technology. Flax is an environmentally-friendly textile with astonishing structural properties that make it particularly suitable for sound production. It is light, stiff and well damped. In general terms, flax membranes provide greater neutrality of timbre and better sound definition. Evolved from the Flax cones developed for the Aria 900 speaker range, the cone membrane in the Sub 1000 F features a new, even more rigid construction. Two sheets of 160g/m2 fibreglass and a 250g/m2 flax core. 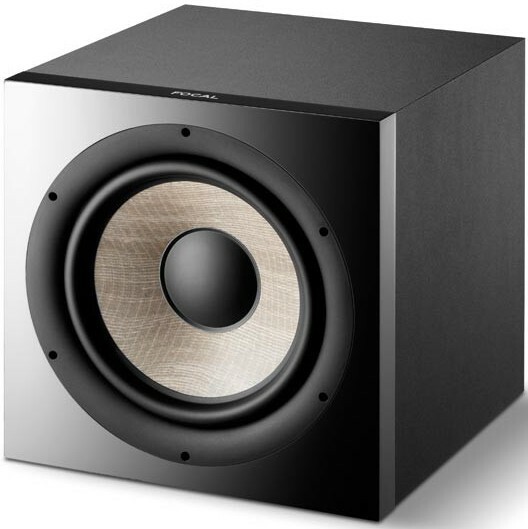 It is able to withstand the high demands associated with subwoofers. The Sub 1000F subwoofer also features a coil/driver unit that is optimised to keep the coil temperature as low as possible. The speaker gives well-articulated bass, better dynamics and considerable SPL power. Focal developed a custom spider/suspension with perfectly controlled dynamic behaviour, meaning the bass is always controlled too, even with very long travel (up to 43mm). 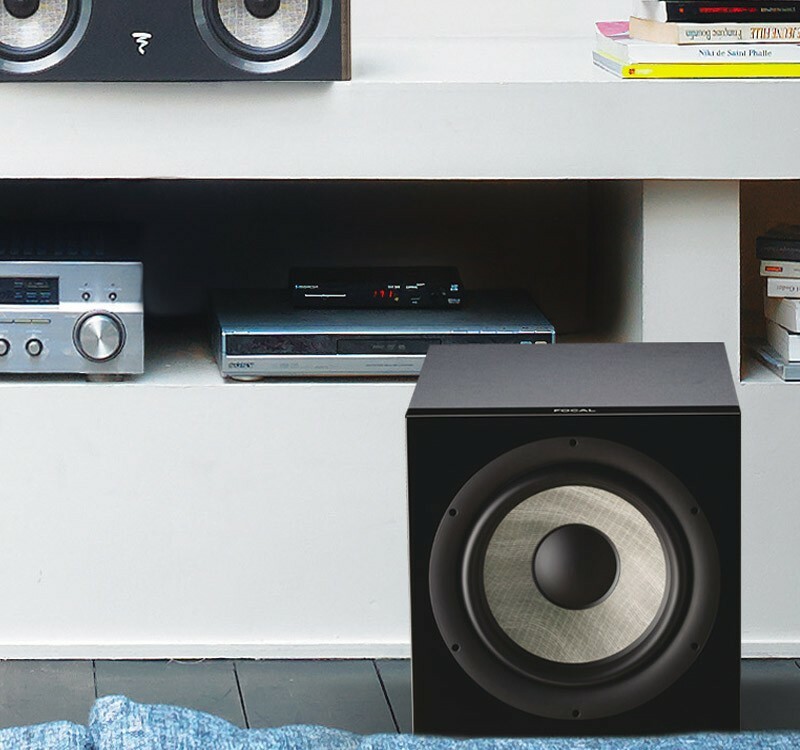 Contrary to an acoustic hi-fi speaker, it is best to position the subwoofer in a corner. The resonances of the room will be excited in a more linear and predictable manner. Not only will bass perception be optimal but also this arrangement will make it possible to increase the level of the bass. Generally, it is necessary to position the sub at the front of the listening room. As the frequency bands are omnidirectional, the bass will not be affected by an object or any furniture positioned between the bass speaker and the listening point.